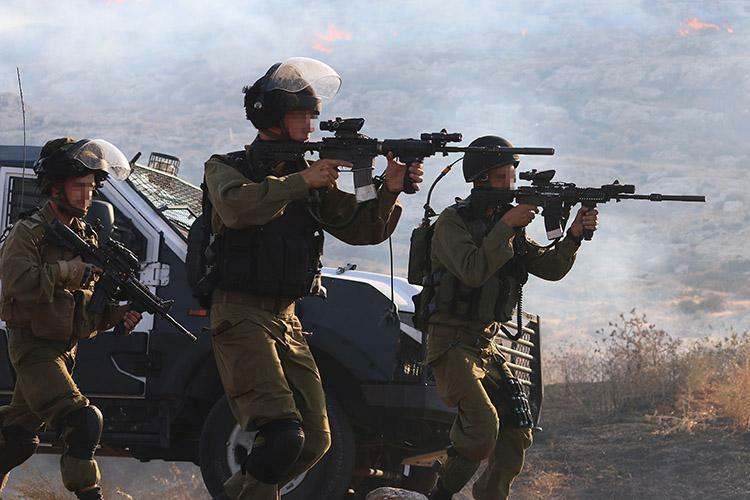 Yesh Din’s latest data sheet on law enforcement against soldiers suspected of harming Palestinians reveals that in 2016, the Legal Service for Operational Matters (the section of the Military Advocate General’s Corps that handles offenses committed by soldiers involving harm to Palestinians or their property in the West Bank and in the Gaza Strip) received 302 complaints of alleged offenses by soldiers against Palestinians or their property. However, by March 2017, only five investigations opened in 2016 had led to indictments against soldiers for causing harm to Palestinians. Most of the complaints filed with the MAG’s Corps in 2016 related to alleged offenses in the West Bank (282), and only a few were reported from Gaza (20). More than 70% of the complaints reported violence or shooting (120 cases were classified as alleged offenses concerning shooting and 103 as alleged offenses concerning violence). About 24% of the complaints related to damage to property (72 cases, approximately half of them involving theft), and the rest related to other offenses. In total, in 2016 the MPCID launched 78 investigations into alleged offenses by soldiers against Palestinians or their property (including 32 investigations opened concerning complaints filed before 2016). This figure indicates a drop in investigations compared to previous years: from 2013 to 2015, the MPCID launched an average of 205 investigations a year into this type of offense. Only five of the 78 investigations opened in 2016 led to indictments (6.4% of all the investigations opened and 1.6% of all the complaints) by the end of March 2017. Also, in 2016 one indictment was filed as a result of an investigation opened in 2015. From 2011 to 2016, the MPCID launched 948 investigations into alleged offenses of soldiers against Palestinians or their property. Only 3.4% (32) resulted in indictments. The data sheet also reveals, for the first time, the length of time taken to process complaints. The Turkel Commission insisted that one condition for effective investigation under international law is the principle of promptness. However, an examination of 77 complaints that Yesh Din filed with the MAG’s Corps from 2014 to 2017 reveals that, on average, notice of the decision whether an investigation was to be launched or the file closed was received approximately 177 days (more than 25 weeks) after the complaint was filed. In the 45 cases in which the MAG’s Corps did decide to launch an investigation, Yesh Din was notified of the decision within 77 days (11 weeks), on average, from the time the complaint was submitted. Yet in the 32 cases that the MAG’s Corps decided not to pursue with an investigation, Yesh Din was notified of the decision only 317 days (approximately 11 months) after the complaint was filed.